Yearbook classifieds for Chalmette HS yearbooks are listed below. If you want to see if others from Chalmette, LA high schools want to make a trade for a yearbook, post your info below. I am looking for yearbooks for the years 1992-1996. Please!! I never had the chance to see my yearbook. I really want the yearbook! Looking for a 1992-1993 year book. I lost my yearbook in a house fire. I would love to get a copy of it. I am quite sure many of the class of '69 Alumni have lost most or all of their old keepsakes as I did. I am currently living in Longview, Wa. with my brother, Ralph and our sister Linda, after katrina. 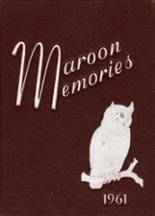 I wish I could find a way to get a copy of the yearbook, my HS ring, and My Maroon and White Letter sweater given to me by Coach Nuss and the athletic dept. in appreciation for my 3 yrs dedicated SPIRT BOOSTER. I hope someone out there can help. GO OWLS !!!!! 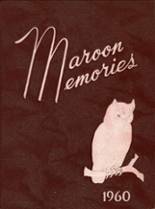 I'm working with Linda (Judge) Cornell, Ed Sbisa, Phil Gremillion to secure copies of my senior year (1965) yearbook. If anyone has a copy of '65 yearbook, please let me know. Hurricane Katrina took it, along with my photos, etc. Would love to get a copy of yearbooks 1964-1966, especially 1965. Besty and Katrina took both. My grandkids would love to see Danny and I in high school. Thanks. I would like to purchase a 1964 YEARBOOK. Are they available? I am requesting a copy of the 1963 Chalmette High School Year Book. I would love to buy a 1963 Yearbook, mine was lost in Hurricane Betsy. I am requesting a copy of the 1962 Chalmette High School Yearbook. Looking for yearbooks from 1957 and 1958. Lost mine in Katrina. Would also like 1954-55, 1955-56, 1956-57. Thanks! I lost all of mine in Hurricane Betsy. Lost all my yearbooks in a fire. Am interested in 1957 & 1958. Many thanks!